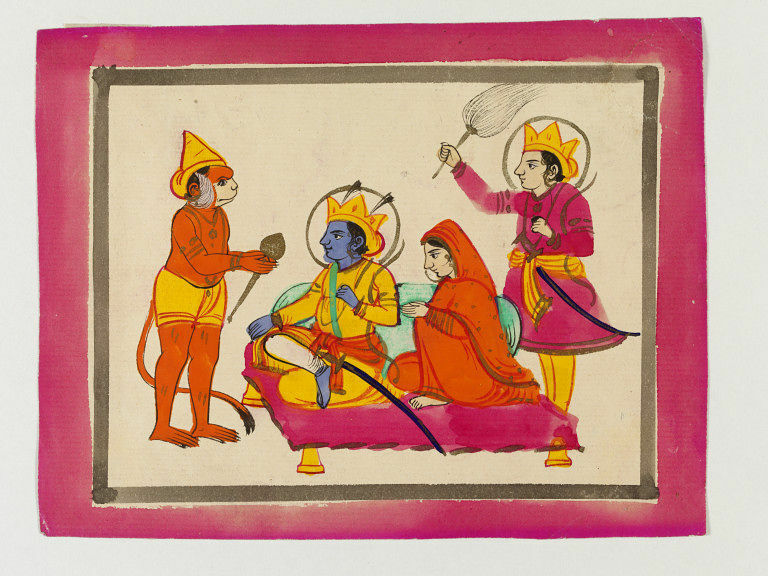 Brush drawing, in ink and colour wash on paper, Rama and Sita enthroned, attended by Lakshman and Hanuman. Part of an album, containing 196 prints, paintings and pen and pencil drawings together with 37 loose pages of paintings, calligraphic drawings and outline pen drawings. 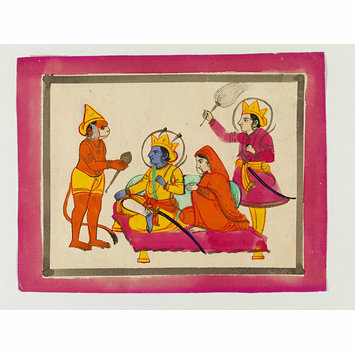 The album was collected by late J. Lockwood Kipling between the years 1865 and 1893. In 1875 he became Principal of the Mayo School of Art, Lahore and held this post until his retirement in 1893. The album was presented to the Museum by his son, Rudyard Kipling in 1917.